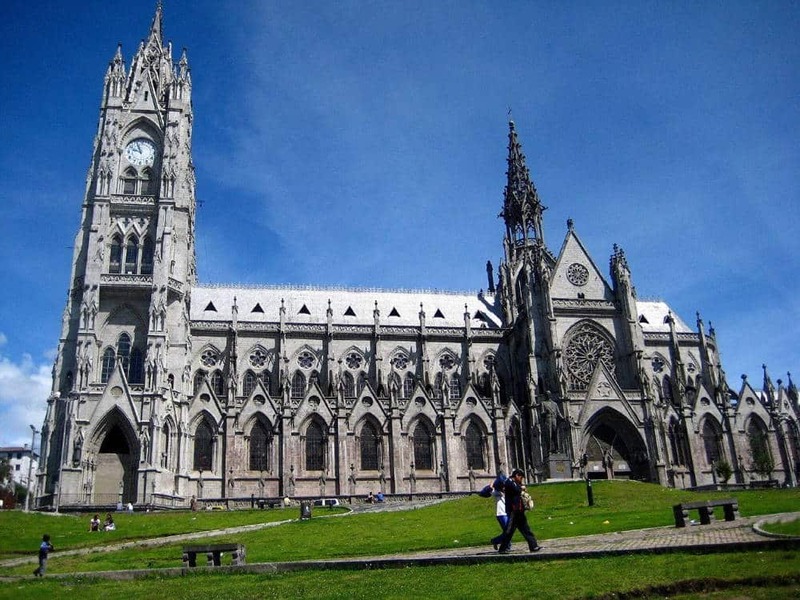 In the city of Quito, there is an architectural church of Neo-Gothic style. It is located in the neighborhood of San Juan, between Carchi and Venezuela Streets. This church is called “Basílica del Voto Nacional” or Basilica of the National Vow, and it is one of the attractive entrances to the Historic Center of the city. 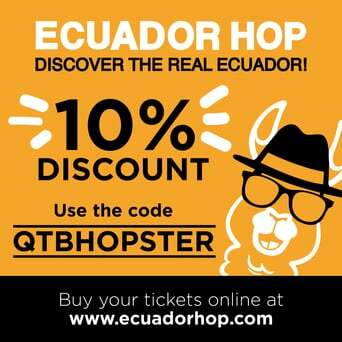 Come with us to this monumental building that deserves to be visited during your stay in Quito! This religious construction was designed by the French architect Emilio Tarlier, who was inspired by the Parisian cathedral of Notre Dame. The architectural work was created with the objective of consecrating the Republic of Ecuador to the Sacred Heart of Jesus. Basilica of the National Vow is considered as the most representative work of neo-Gothic architecture in the country, and one of the most outstanding in Latin America. Basilica of the National Vow began to be built in the nineteenth century and is considered unfinished. It has gargoyles on its facade, as well as endemic animals of the country, such as: alligators, turtles, blue-footed booby, monkeys, among others. This church is 140 metres long. It has a width of 35 meters and its central nave has a height of 30 meters. In addition, it has two entrances and six access doors. Within this majestic construction is located the National Pantheon of Ecuadorian Heads of State, where some former presidents are buried. The two frontal towers are 115 meters high. This is why the church is one of the tallest structures of the city! 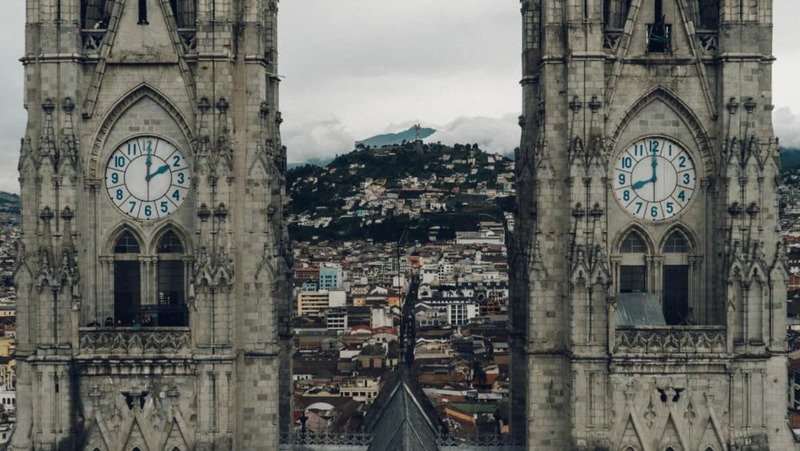 We suggest you to climb one of its towers and enjoy one of the most privileged views of Quito. The church of Basilica of the National Vow can be visited every day from 09:00 to 16:30 and its towers from 08:30 to 18:00. To get to this destination in a safe and fun way, we recommend you to take the Quito Tour Bus and its Quito City Tour. If you descend in the stop number six of this circuit, you will be able to visit the famous and incomparable Basilica of the National Vow and you could take the following bus in one hour.